This is a sequential test page from my creator-owned comic. 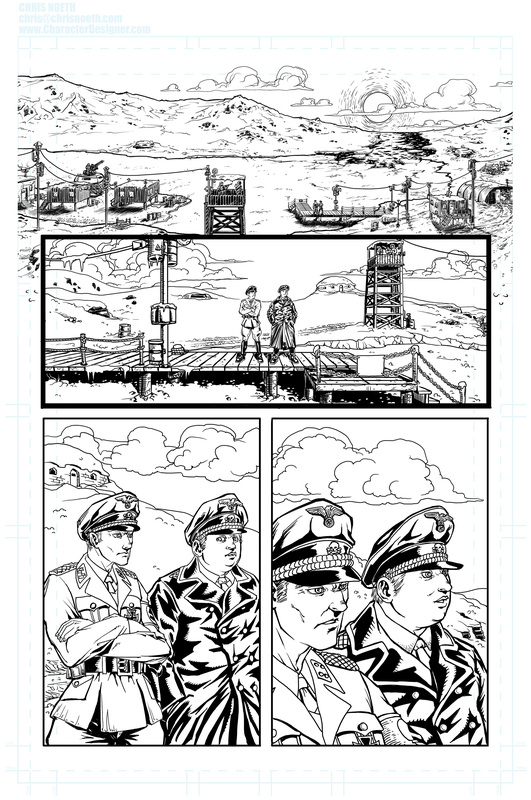 I’m doing very rough digital blueline layouts (which can’t be seen here anymore) and then go direct to digital inks. It feels like penciling with inks and I’m not very happy about the process yet. It probably saves some time to finish a page, but I think I will go back to do more finished pencils between those stages in the future. BTW: I’m looking for a colorist for the project (once it is finished) who can do cool colors like Matt Hollingsworth. I love what he is doing on Sean Gordon Murphy‘s art. If you want to use the page above for your own color sample feel free to download it by clicking on the image directly.